Jamie serves as the Organization’s President and is a member of its Board of Directors. Jamie helped Co-Found the Trevor Barton Foundation, and his focus within the Organization is to locate deserving youth athletes and oversee the Organization's overall operations. Jamie graduated from Queen's University with a Bachelor of Arts in Economics and Sociology. Jamie also completed his Masters in Management and Professional Accounting at the University of Toronto. He previously worked as a Senior Accountant in Toronto, ON and now works as an Investment Banking professional in Toronto. James serves as the Chairman of the Organization’s Board of Directors. James helped Co-Found the Trevor Barton Foundation and remains involved in all aspects of the Organization’s strategy, sponsorship, and operations. James graduated from the Ivey Business School and the University of Western Ontario with honors degrees in Business Administration (B.A.) and Actuarial Science (B.Sc.). He concurrently received his actuarial professional designation, becoming an Associate of the Society of Actuaries in 2014. James previously worked in Investment Banking in Toronto, ON and New York, NY and in Private Equity in San Francisco, CA. James now works in Private Equity in Toronto. Jordan serves as the Organization’s Vice President, Treasurer, and Secretary and is a member of the Foundation's Board of Directors. Jordan's focus within the Organization is on broadening its reach and supporting its fundraising efforts. Jordan graduated from Guelph University with a Bachelor of Arts in Criminal Justice and Public Policy. He also concurrently received a Certificate in Business from Guelph University. Jordan currently works as an Account Manager in Talent Management in Toronto, ON. Andrew serves as the Foundation's Head of Development and Operations. His focus is to strengthen internal processes and drive development opportunities for the Foundation. Andrew completed his B.A. at Queen’s University and his M.A. at Western University. Between the two universities, Andrew competed in a combined seven seasons of Varsity Athletics across football, baseball, and track. 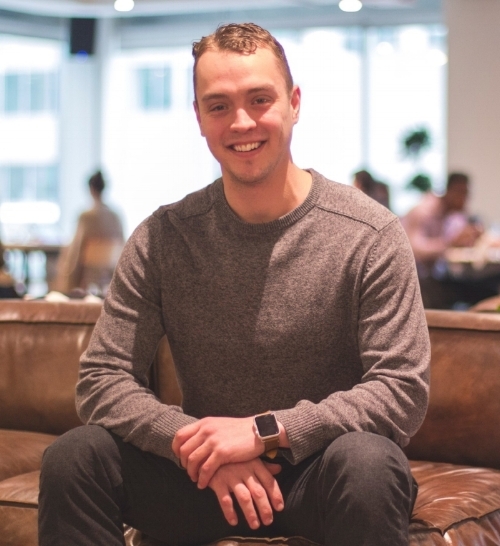 Upon finishing his research at Western, Andrew shifted his efforts to client-facing roles within Toronto’s Cloud technology community. Amanda serves as the Foundation’s Event Coordinator. Amanda manages all planning and operations for the Foundation’s current and future fundraising events and meetings. Amanda graduated from Western University with a Bachelor of Human Ecology and a Bachelor of Education. Amanda is the Head of Education & Curriculum at an Educational Charity in San Francisco, and she is completing her Master’s of Professional Education from Western University. Amanda is a High School Teacher in the Greater Toronto Area.